People management is the most common and least understood area of business. We have many ways to guide you through the minefield of requirements and help you to attract and keep your people. Outsourced HR Management Services: Need a HR Manager but cant justify the salary? We have the perfect solution for HR outsourcing in Brisbane. By accessing our team of experienced HR Professionals, you can access to the expertise with a fraction of the cost! The benefits to you are enormous. HR Audits: Don’t let the new legislation catch you out! 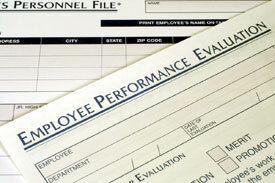 An audit of all your human resources processes, policies and procedures with a report identifying your risks. Staff Surveys: Can you afford staff turnover? Get the real story of how happy your staff are and what you can do to keep them. Team Assessments: Need to know more? Whether you are recruiting, developing your key people or understanding how your team can work better, Personality and Ability Testing will be invaluable. Team Coaching: Staff Focus Groups & Workshops to develop your management and staff. Get your people involved. Staff System Software: Complete HR system for any business. Automated Forms,Database, HR Guide, Reminders and Reports – all in one system. Systems Implementation: Staff System installation and one on one coaching on how to maximise the system and integrate it into your workplace.